Billy Briney is the driver of the #39, Briney Motorsports, race car. He races in two different offroad racing series (Ultra 4 Racing and Dirt Riot Endurance Racing). 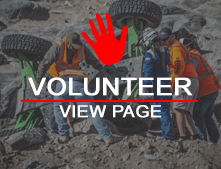 Billy, growing up in the Western Plains of Kansas, didn&rsquo;t get introduced to offroad racing until 2010, when he attended the XORRA race in Colorado Springs, CO. Billy decided to build a car after that race and has been competing ever since. Billy finished out the 2014 year with 4th place and 2nd place finishes in the Dirt Riot Central Series events and took a 3rd place finish at the Dirt Riot National Rampage. Billy is looking forward to the 2015 season where he will compete in the Ultra 4 Eastern Series and the Dirt Riot Central Series.